What better alien creature is out there than H. R. Giger's Alien? My mission here was to try to give a makeover to the legendary design that started it all for many of us when it comes to loving weird creatures and monsters from other worlds. Obviously not a lot you can (or should do) with the original design as it is perfect as is. But I feel as an artist we always need to things what we would do differently on any design or artwork. Here I tried to emphasize and push forms that were already there and give the creature a more organic look. Giger would be proud. 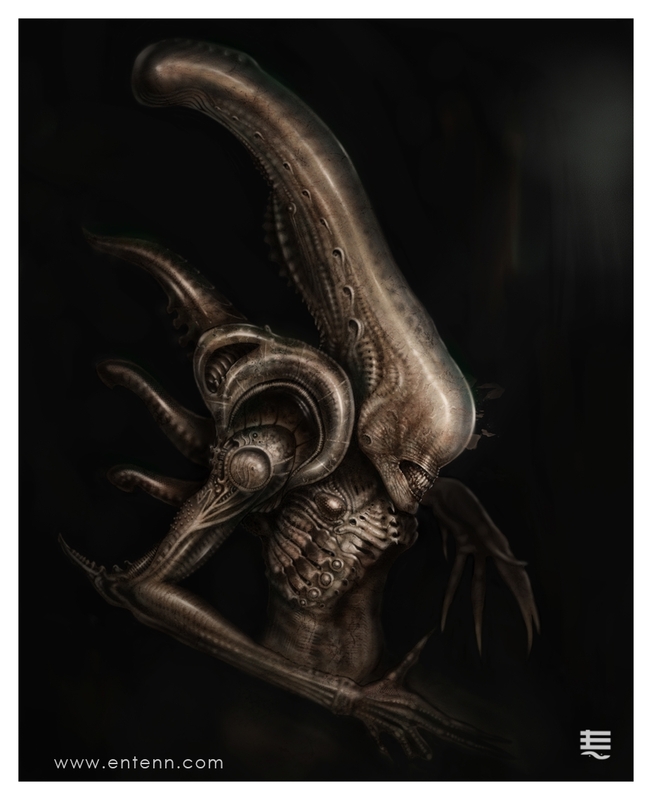 Very in keeping with his aesthetic and probably what the alien would have grown to look like had they incorporated more of Giger's crazy designs for Alien 3 and subsequent films. That means so much Callum! Thank you! I only hope he would. Thanks again!